A truly international slate of children’s films that treats young viewers seriously with timely engaging stories about different cultures and issues such as immigration, learning about nature, homelessness, overcoming stereotypes and family identity highlights the sixth annual Tumbleweeds Film Festival which will be held Sept. 23-25 at the Rose Wagner Center for Performing Arts in downtown Salt Lake City. Presented by the Utah Film Center, this year’s festival includes many films that are being screened in Utah for the first time. There are films from Israel, South Korea and Mongolia – countries that also are being represented for the first time in Tumbleweeds’ history. The festival includes three programs of short films, four workshops for children focusing on creative production and even movie reviewing and a panel discussion along with the Kids Clubhouse which will feature numerous activities incorporating a mix of technology, engineering, art, and, naturally, child’s play. Tumbleweeds is the Intermountain West region’s only children’s film festival. The films are suitable for ages 4 and up. In all instances where films are foreign and subtitled, the film center has recruited narrators who will read the subtitles through headsets that will be available for every child visitor. Among the films will be the only feature-length documentaries this year for Tumbleweeds – The Eagle Huntress (2016, U.K./Mongolia/U.S., Otto Bell), which was premiered at this year’s Sundance Kids. 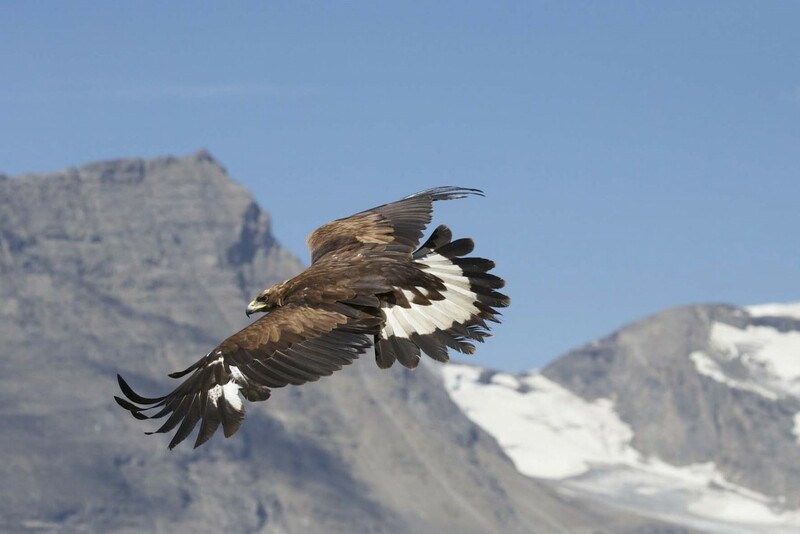 The film (Sept. 25, 6 p.m.), produced in Kazakh with English subtitles, chronicles Aisholpan, a nomadic Mongolian girl, 13, who becomes the first woman to hunt with a Golden Eagle in a tradition that has been exclusively reserved for me. One of the executive producers, Daisy Ridley, the actor who appeared in Star Wars: The Force Awakens, narrates the documentary. 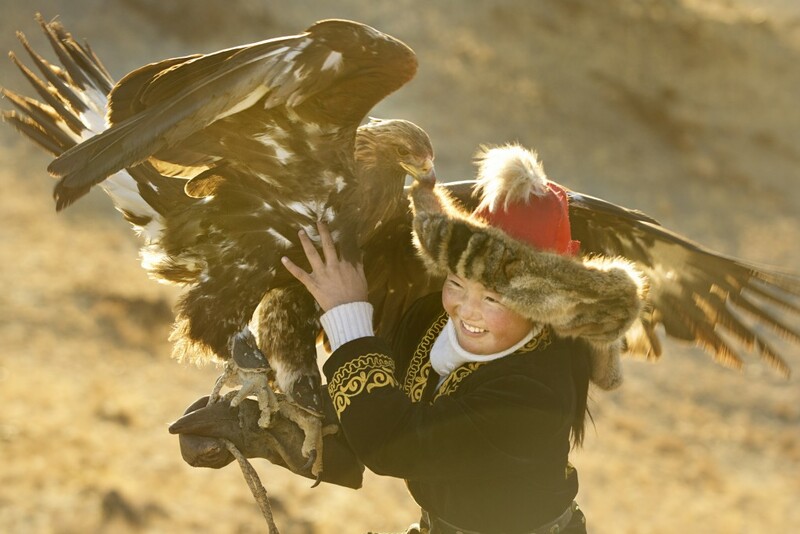 Viewers who are drawn to the majestic visuals of National Geographic documentaries will find The Eagle Huntress equally compelling, as the young Aisholpan who learns how to tame a golden eagle in her homeland’s Altai mountain range. The film follows her preparation to compete in a festival which includes 70 men. Notable is how the film also portrays her as like any other teen in the world, seeking her identity and how she envisions the opportunities of her education to prepare for adulthood. The opening night screening (Sept. 23, 7 p.m.) is Brothers of The Wind (L’Aigle et l’Enfant) (2015, Austria, Gerardo Olivares and Otmar Penke) about a boy who saves the life of an eaglet. The coming-of-age film, which won best cinematography honors at this year’s Romy Gala in Austria, is filled with breath-taking panoramic vistas of the Alps, which makes up for the lack of substantive dialogue in narrative development that is set in the 1960s. 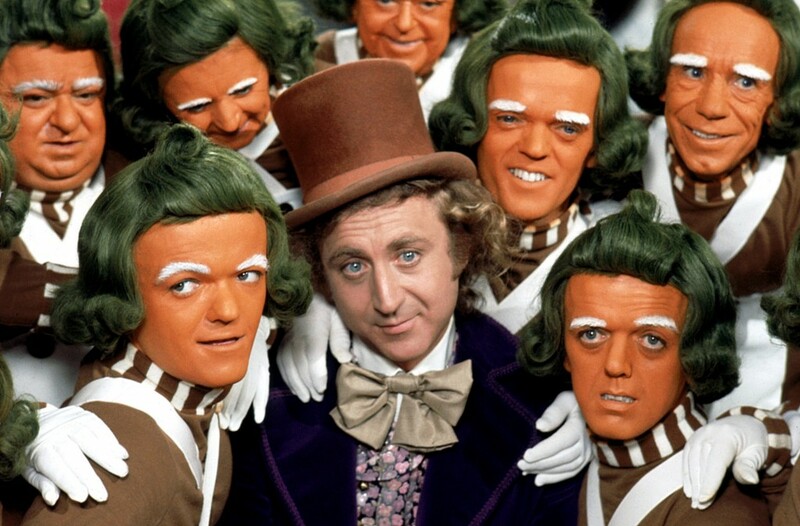 The festival’s centerpiece screening (Sept. 24, 7:15 p.m.) brings a 35-mm film version of the 1971 classic, Willy Wonka and The Chocolate Factory (Mel Stuart), which honors the memory of actor Gene Wilder, who recently died, and the 100th anniversary of Roald Dahl, who wrote the book that inspired the film. Hubley says audience members also will receive a Wonkariffic goodie bag, filled with treats appropriate to the film. It is everything that family movies usually claim to be, but aren’t: Delightful, funny, scary, exciting, and, most of all, a genuine work of imagination. Willy Wonka is such a surely and wonderfully spun fantasy that it works on all kinds of minds, and it is fascinating because, like all classic fantasy, it is fascinated with itself. 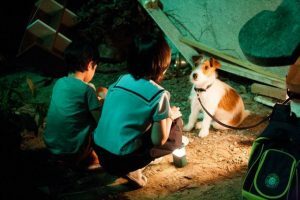 Many of the foreign films present gutsy, elucidated story lines that introduce children to different cultures in various ways, even when they pay tribute to classics. 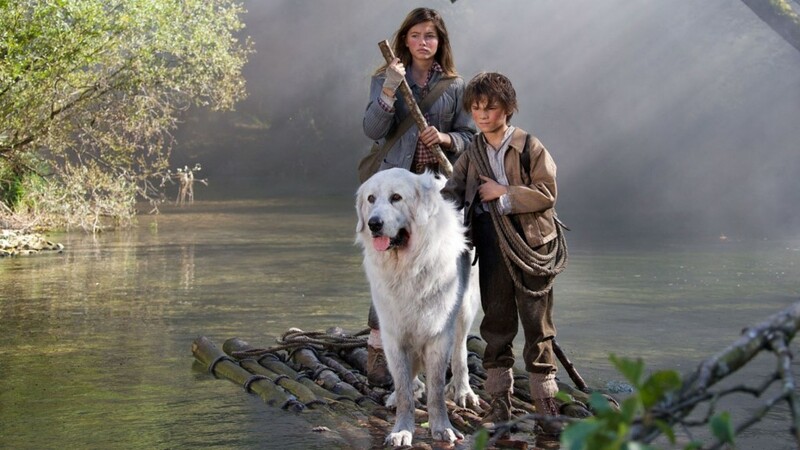 Belle & Sebastian: The Adventure Continues (Belle et Sébastien: L’Aventure Continue) (2015, France, Christian Duguay) is a wonderful follow-up to the 2013 film, an Alpine adventure which was set in 1943 and was based on the work of French author Cécile Aubry. 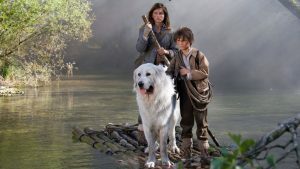 In the first film, the boy and his dog, Belle, a Great Pyrenees breed, were cast amid the backdrop of the Nazi occupation as mountain villagers guided Jews to safety. In this latest film (Sept. 25, 9:45 a.m.), the events take place in September of 1945 after the war as Angelina, who is sort of a mother figure to Sebastian, is returning to her uncle’s home (César). However, her plane crashes and it is presumed that there are no survivors. The boy insists that Angelina has survived and, with his uncle, they enlist the help of a pilot, who turns out to be the boy’s biological father. This sets up nicely a thoroughly entertaining film that is propelled by a good deal of emotional tension and many will want to cheer on the efforts of Sebastien and his dog, Belle. The series is expected to conclude in a forthcoming third film. Abulele (2015, Israel, Jonathan Geva) is a surefire charmer for Tumbleweeds audiences, about a boy who becomes friends with a mythical monster as he copes with the grief of his older brother’s death in an accident. The film (Sept. 25, noon), in Hebrew with subtitles, is a solid fantasy entertainment, complete with a first-rate musical score by Frank Ilfman that along with the narrative will remind audiences of some of Stephen Spielberg’s most successful films. Like many other countries, Israel is concentrating efforts on making its cinema accessible and approachable for audiences throughout the world. Abulele’s reception has been so good that Epic Pictures in Hollywood recently acquired the rights from Dori Media Paran in Jerusalem and Spiro Films in Tel Aviv to remake the film. The film in its domestic screening drew an audience of 150,000, significant for a country of roughly 8 million people. The issue of homelessness is taken up in the comedy-drama film How to Steal A Dog (Gae-leul hoom-chi-neun wan-byeok-han bang-beob) (2014, South Korea, Kim Seong-ho). The film’s narrative (Sept. 24, 2 p.m.) features Ji-so, 10, and her younger brother, Ji-suk, who live with their mom in a pizza truck. The pizza business went bankrupt and the father disappeared. Ji-so and a friend (Chae-rang) plot to get a house, thinking that a small amount of Korean money (roughly equivalent to $4,500) will be enough to buy a house. They scheme to steal a dog, focusing on the pet of a rich old woman who owns the restaurant where the girl’s mother works. The film is edgy and the humor has a dark tint, although not as much as represented in the novel by Barbara O’Connor upon which the film is based. Indeed, the girl learns important lessons about the consequences of committing what really is a crime and the audience learns about the earnest yearnings of a child who wants the best for her family as they try to make a life in one of the world’s most expensive metropolitan areas. The film won honors as best feature film for children at Ale Kino!, an International Young Audience Film Festival in 2015. Two films from Germany emerge as dramatic statements about the struggles of children and families living as immigrants in an unfamiliar setting. Hördur – Zwischen den Welten (2015, Germany, Ekrem Ergün) is about Aylin, 17, a Turkish immigrant who is sentenced to do community service on a horse farm after beating up one of her classmates who taunted her. Aylin initially is awkward and out of sorts working with Iris, the stern owner of the farm. However, the young woman is drawn to Hördur, a wild horse brought to Germany from Iceland, and eventually convinces Iris to teach her how to ride. As she prepares for an equestrian competition, Aylin also must contend with significant emotional and personal challenges. One involves her father, an itinerant laborer who is frustrated about his economic status and decides to return the family to Turkey. The other is connected to a recurring dream in which she is riding through a thicket in the forest heading into clearer surroundings but she always wakes up before she reaches her destination. The film (Sept. 24, 5:15 p.m.) makes a lasting impression, catapulted by solid acting and a rich narrative that balances the tensions with a reaffirming sense that no possibility is unreachable even against formidable factors. The second German film (Sept. 25, 4 p.m.) encompasses the story of two young Vietnamese girls in Fortune Favors the Brave (Ente Gut! Mädchen allein zu Haus) (2016, Germany, Norman Lechner). Linh, 11, and Tien, who will be 9, are left alone in their German home when their mother goes back to Vietnam to care for her grandmother. At her young age, Linh carries enormous responsibilities as she also works in a Vietnamese restaurant from which her family depends on for their economic survival. Linh is befriended by Pauline, a German girl who comes from comfortable means but is a loner and is unpopular at her school. The film is notable for what is happening in German cinema when it comes to children’s films. Taking a cue from the Dutch who have crafted a strong reputation for making children’s films that are not based on popular and best-selling children’s books but are instead based on casting stories that reflect realistic living conditions of children and developing narratives that inform as well as entertain audiences. Thus, Fortune Favors The Brave avoids coming off as didactic. The girls’ circumstances of living as immigrants and the social dynamics of their Vietnamese community in Germany seem realistic and are portrayed both effectively as comedy and drama. The unexpected friendship between Linh and Pauline is prominent and the tensions are evident, even as the film attempts to manage all of the narrative textures in one continuous swoop. The characters are sufficiently complex and instructive even as the fundamental positive ending underscores the benefit of working to overcome prejudices wherever they may be. A pop culture sensation with the ideal mix of stop motion and 3-D animation and a well-known cast of voice actors, The Little Prince (2015, France/Canada, Mark Osborne) has had an unusual journey since it charmed audiences at its Cannes Festival premiere and won France’s Cesar Award for best animated film. Although the film (Sept. 24, 2:45 p.m.) had accumulated international gross box office receipts within striking distance of $100 million, Paramount Studios changed its mind about a wide release in U.S. theaters earlier this year and the film went to Netflix streaming. The film by Osborne, who is also known for Kung Fu Panda, features the voices of Jeff Bridges, Rachel McAdams, Paul Rudd, Marion Cotillard, James Franco and Benicio del Toro. 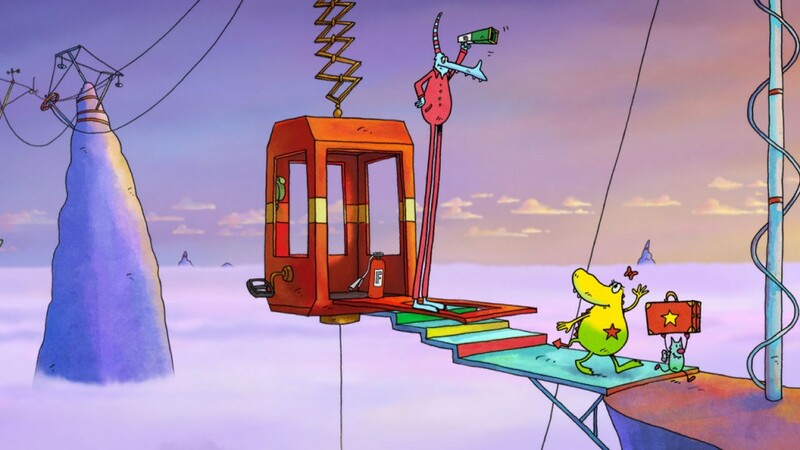 It is based on Antoine de Saint-Exupéry’s 1943 novella about an aeronaut who meets a boy from outer space. Another worthy entry is Secret Society of Souptown (Supilinna Salaselts) (2015, Estonia and Finland, Margus Paju), which follows four children in Tartu who thrive on solving mysteries and looking for treasures. The film (Sept. 24, 11:45 a.m.), paced nicely with strong technical production qualities, won best children’s film honors at the 2015 Zurich International Film Festival. There’s plenty of fare for the festival’s youngest audience members. Molly Monster (2016, Germany, Sweden and Switzerland; Ted Sieger, Michael Ekbladh, and Matthias Bruhn) is a perfect animated piece about an adorable young monster who must learn how to accept the new sibling in her family. The film (Sept. 24, 9:30 a.m.) won best animation honors at this year’s Shanghai International Film Festival. Blinky Bill: The Movie (2015, Australia, Deane Taylor, Noel Cleary, Alexs Stadermann and Alex Weight) will be a sure winner for young viewers. 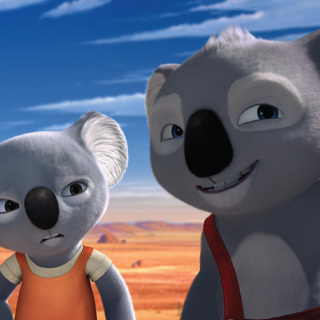 The animated film (Sept. 25, 11:30 a.m.) follows the adventures of a koala. Voices include Ryan Kwanten, Toni Collette and Rufus Sewell. Help, I Shrunk My Teacher (Hilfe, ich hab meine Lehrerin geschrumpft) (2015, Germany, Sven Unterwaldt Jr.) is about Felix, 11, who has shrunk the thoroughly despised school principal to a height of just six inches. Felix and his friend Ella (Sept. 24, 12:45 p.m.) try to get her back to her normal size but Felix’s rival (Mario) hopes to stop them. The comedy took Bambi Award honors in 2015. Kidnap: Bo’s Most Exciting Holiday Ever (2014, The Netherlands, Diederik Ebbinge) follows the adventures (Sept. 24, 4:15 p.m.) of an only child from a rich family who ends up forging a unique friendship with his kidnapper. 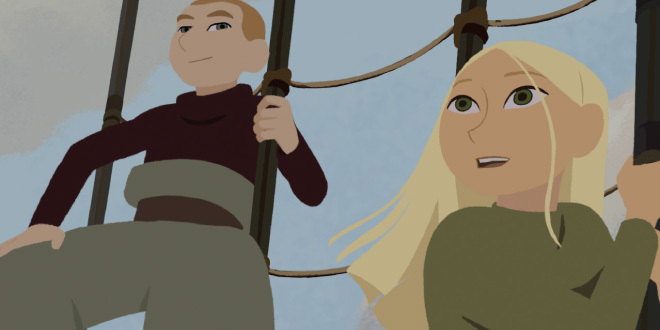 Long Way North (Tout en haut du monde) (2015, France and Denmark, Rémi Chayé) is an excellent work of animation about a young heir of Russian aristocracy who embarks on a voyage to the Arctic to discover what happened to her grandfather. The film (Sept. 25, 2:15 p.m.) won the audience award at the 2015 Annecy International Animated Film Festival and grand prize in this year’s Tokyo Anime feature film competition. This film is also part of a critic’s workshop which will be led by Sean Means, film critic of the Salt Lake Tribune. Participants will be briefed prior to the screening and then afterward will work with Means on how to write a review. The workshop, which runs 1:30-4:30 p.m. on Sept. 25, is open to a maximum of 15 participants, ages 10-12. A.J. Clayton, who has established a visible YouTube presence and has helped many other bloggers, will lead a free panel discussion on strategies young producers can use to boost their online audiences (Sept. 24, 10 a.m.). The Kids Clubhouse will feature an obstacle course presented by Salt Lake City Cross Fit, STEM and maker activities provided by the Mini Maker Faire, festival badge making and virtual reality demonstrations. It will be open Sept. 24-25, 10 a.m.-6 p.m. The festival’s sponsors exemplify broad community engagement and they include Zions Bank, George S. and Dolores Doré Eccles Foundation, Lawrence T. and Janet T. Dee Foundation, S.J. and Jessie E. Quinney Foundation, Regence BlueCross BlueShield, Chevron, My Good Fund, and Ancestry. For festival passes and individual tickets, see the Utah Film Center website or arttix.org.